Ammonites appeared during the Carboniferous period a mere 290 to 354 million years ago. Evolving during the Mesozoic era into specimens sometimes weighing more than 200 lbs., they became ubiquitous until dying out about the same time as the dinosaurs. Today the best Ammonites are found on the banks of the Volga River near the Russian city of Ulyanovsk (formerly Simbirsk). These beautiful cabochons are the result of Pyrite replacing the original bone structure of the Ammonite. There are various shades of brown, beige, black, tan and white. 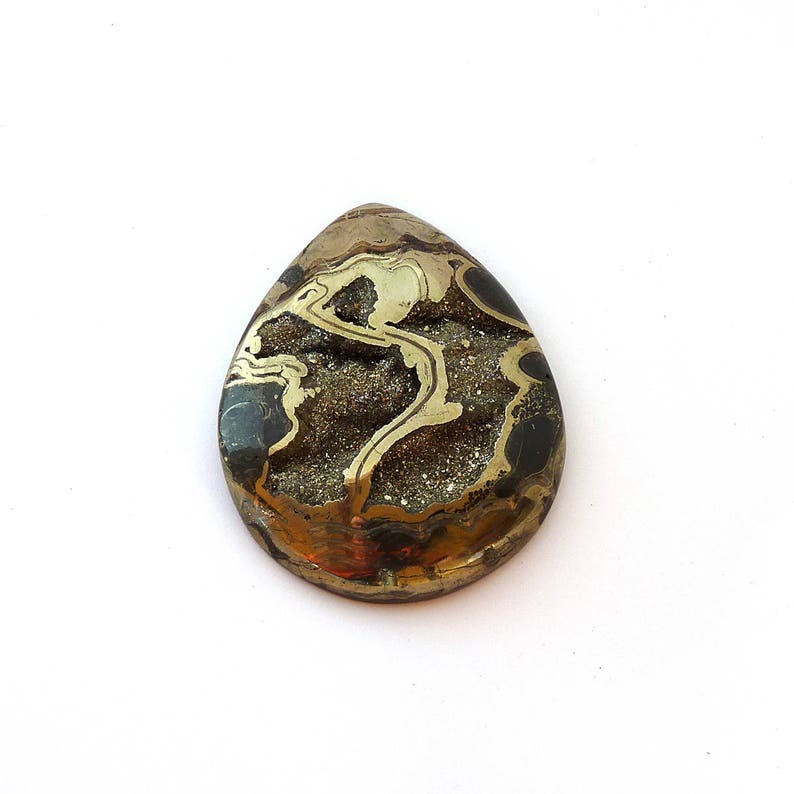 Throughout many of the pieces are swirls and pockets of Pyrite drusy. Gemstone: Pyritized Ammonite Lamberticeras sp. Free USPS Priority Mail shipping in the United States. All international orders are shipped using USPS International Priority Air Mail. All purchases are fully guaranteed. If you are not satisfied, for any reason, please return the gemstone for a full refund. Bright Star Gemstones will even pay the cost of return shipping.